and the annual search for Scotland’s best venues, operators and staff promises to be as exciting and keenly anticipated as ever. In association with our valued commercial partners, we’re seeking entries across no fewer than 22 awards categories, highlighting the rich diversity and unparalleled expertise Scotland’s world famous hospitality sector is known for. Our judges will spend the summer visiting and assessing licensed businesses all over the country as we home in on the best of the best for 2016. 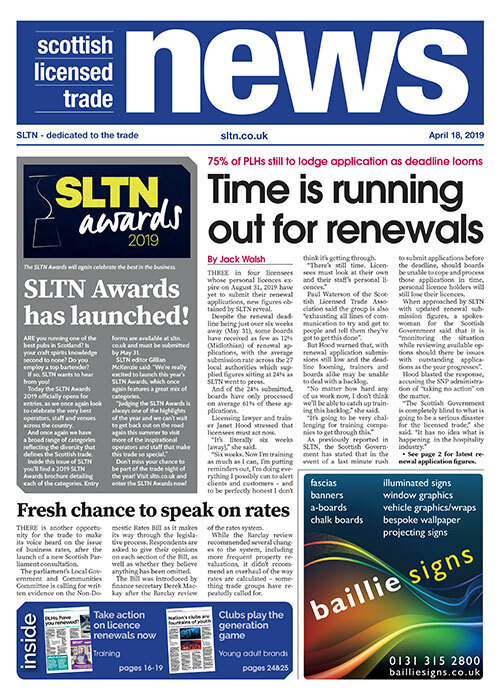 Entries will be shortlisted and judged over the summer, with the winners announced at the 21st annual SLTN Awards at Glasgow’s Hilton Hotel on Thursday November 3, 2016.